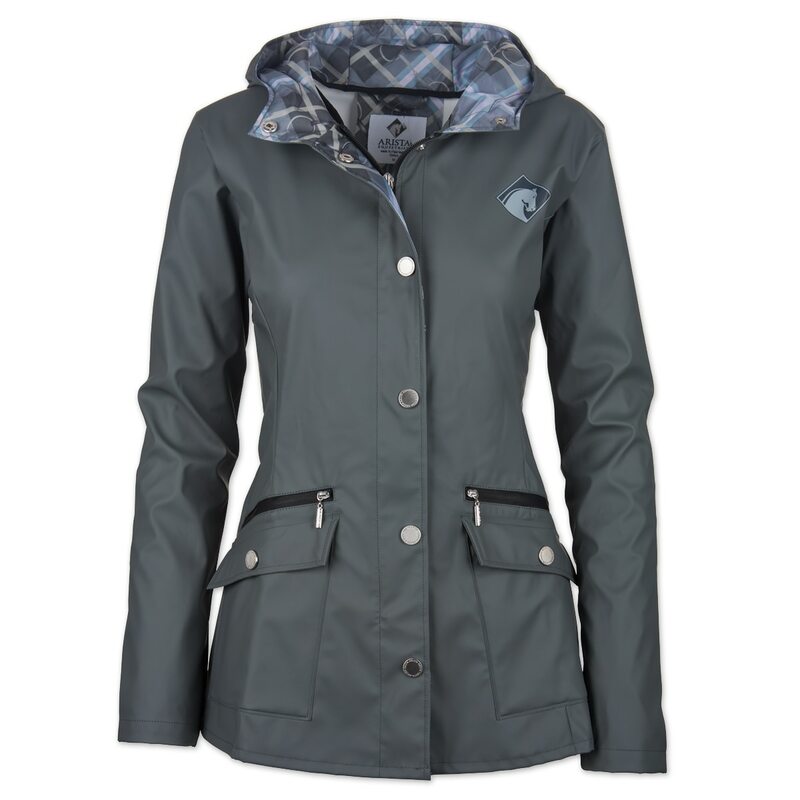 The Arista Legacy Rain Jacket will protect you even in the worst downpour! This stylish rain jacket will brighten your spirits on any rainy day. Made from light-weight, waterproof fabric, it features a large and adjustable waterproof hood. There are two big hip pockets and a hidden aqua-guard front zipper, all covered with flaps and snaps. There is also a large zippered back vent to cover and protect your saddle. Additional vents on the sleeve and cuffs can be tightened for a snug fit. Features a large and adjustable waterproof hood. There are two big hip pockets and a hidden aqua-guard front zipper, all covered with flaps and snaps. Large zippered back vent to cover and protect your saddle. Additional vents on the sleeve and cuffs can be tightened for a snug fit.